Showbusiness is always finding new models for Christmas and new year while developing existing ones such as panto, where the UK has traditionally offered a significant window of work. In most countries, however, December is a quiet month for theatre and arts festivals, which take a step back in favour of the public rituals of Christmas (wherever they celebrate it) and new year events such as concerts and firework spectaculars that soak up budgets and audiences. In countries with a subsidised state theatre system, things also go quiet if venue employees take an official break like the rest of the country, while south of the equator the long summer holidays kick off in places such as Australia and South Africa. In the UK, panto is a seasonal staple, but though it is gaining a profile overseas, particularly in North America, Australia and New Zealand, the job-market potential is limited due to the cultural references that define it. Though winter can be a handy opportunity to take the show you’ve toured in the UK during the summer and autumn to an overseas festival or fringe, you’ll have to travel far afield. In the northern hemisphere the weather doesn’t encourage arts festivals, particularly in Europe, which otherwise offers a major platform during the rest of the year. If you’re prepared to go further, a working holiday might help avert the winter blues. Go walkabout in sunny Australia in December before taking your show to the festivals that bloom there in January and February, or explore snowbound Canada in between Christmas pantos and then stay on for the festivals that kick off in the new year. Or… you could go on a cruise. Today’s slick cruise ships are mini-cities that offer state-of-the-art environments that are weatherproof and timeless, where every day is Christmas, Easter or summer, framed by on-board venues that are always upping their game. 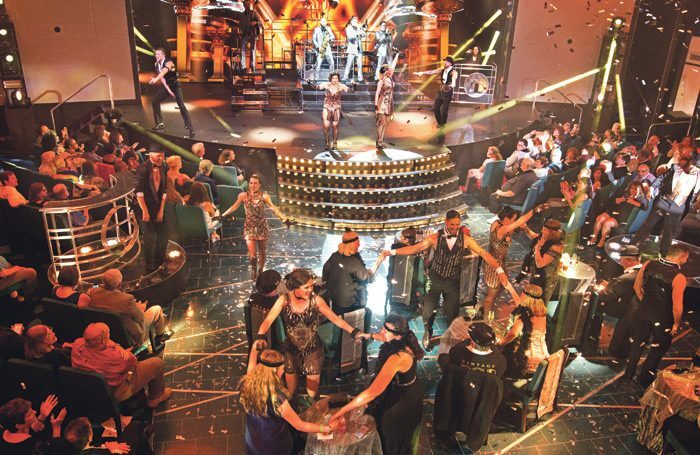 For Florida-based Carnival Cruise Line, on-board entertainment is integral to the cruise experience and regularly gets voted to the top of critic and customer polls. 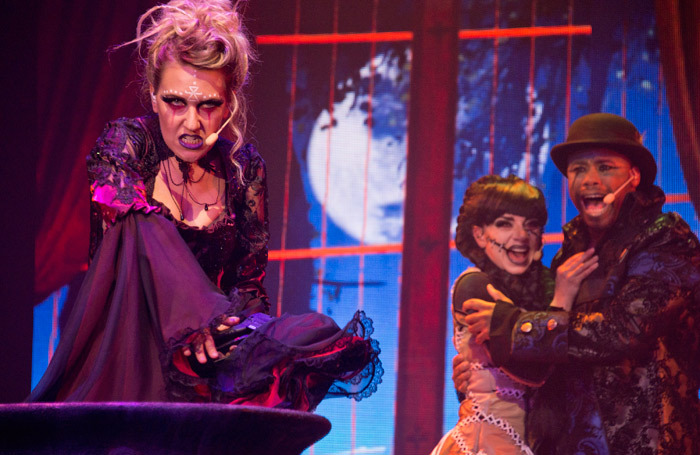 As Chris Nelson, the company’s senior director of entertainment, explains, seasonal themes play an important part of Carnival’s year-round programming. “Vacations are often enjoyed with friends and family,” he says. “We want to make sure those memories include celebrating holidays. Whether it is Christmas, Hanukkah, Valentine’s Day, Cinco de Mayo [in the US] or Anzac Day in Australia, we have special programming to celebrate or honour traditions with our guests. Performer opportunities at Carnival fall into categories that include production shows, special events, comedy, live music, night club, deck parties, youth entertainment, seaside theatre and a wide range of hosted activities. Pure theatre rarely gets a look in, it must be admitted. But while panto doesn’t currently feature on the Carnival bills, the genre’s growth on dry land in North America and Australia (where July is our December), due in particular to the efforts of Brits Nigel and Bonnie Lythgoe in both regions, mean it should be only a matter of time. With 26 ships, that’s 10,000 performances a year. Comedy is also a staple for family and adult audiences, and every cruise includes several comedians. Thanks to a roster of more than 200 comedians, that tots up to a further 27,000 shows per year. On voyages over seven days, Carnival will fly one of its 75 variety entertainers to join the cruise. These include magicians, singers, jugglers and mentalists. The company also produces participatory regulars such as Lip Sync Battle and Clue and Towel Animal Theatre on many of the ships. 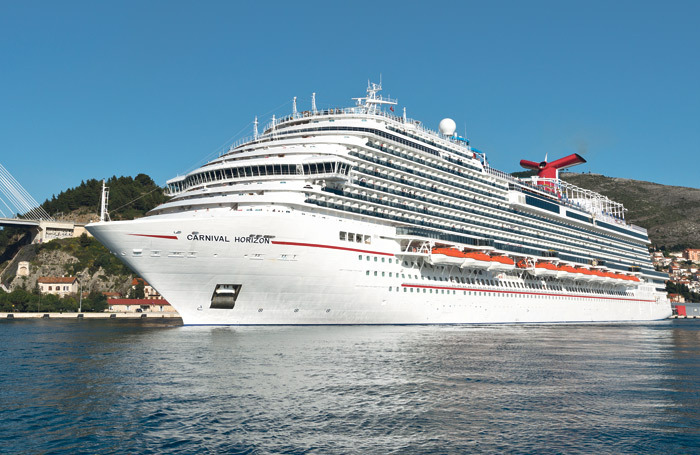 Carnival ensures that all programming decisions are based on the needs of its guests, which vary from year to year. As a result, the ability to develop entertainment quickly has led to the creation of a strong in-house production group. “This allows us to constantly grow our product, customise it for each demographic and ensure we are providing world-class entertainment,” says Nelson. Carnival Studios is central to this. The hi-tech 44,500 sq ft rehearsal venue in Davie, Florida was built near the company’s Miami headquarters in 2017 and boasts eight dedicated music studios, five full-stage dance studios, a training room, a green room and offices for the line’s entertainment department. The main theatre stages within the fleet have been replicated within five full-scale studios, one of them boasting a massive 480 sq ft LED screen. The studios are a unique focus for performers and technical teams from every ship to get together shoreside for rehearsals and developing new shows, including the Playlist Productions revues. They also have the chance to work with top-rated performers and creatives from the West End, Broadway, Las Vegas and other partners from across the globe. “As our shows became more complex, we started to run out of open stage time on-board for rehearsals,” Nelson adds. “By moving the rehearsal process to the land, we solved that. In addition, our supervisors have more time to work with the performers and tackle even more challenging roles. This means we can produce even larger productions. Based as it is in the US, Carnival has access to a huge talent pool locally but recruits worldwide for every position: singers, dancers, musicians, entertainment hosts (dubbed the Fun Squad), youth and technical. “Because our requirements are unique we find our team everywhere: from Australia, the US, Canada, the UK and the Philippines, to name a few,” says Nelson, who adds that candidates can either apply online or do one of the auditions held throughout the year. Agencies can also submit candidates. Can an entertainer make a career out of working the cruises? “Yes, it can make for an incredible career,” says Nelson. “We produce world-class entertainment and offer competitive pay, full room and board, flexible vacation breaks and the ability to travel the world. Carnival Cruise Line is the principal subsidiary of Carnival Corporation, a British-American cruise operator currently the world’s largest travel leisure company, with a combined fleet of more than 100 vessels across 10 cruise-line brands. Employees (Carnival Corp): More than 120,000 worldwide (100,000 shipboard). Poll: Should the theatre industry be more tolerant if employees need to take time off due to mental health issues or stress?